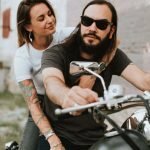 Looking For The Best Motorcycle Backpack With Helmet Holder? Here’s a look at our favorites, including our top pick – Seibertron Waterproof Large Capacity MOLLE Motorcycle Helmet Holder. There may have been a time when you could leave your helmet attached to your handlebars and trust that it would be there when you got back, but unfortunately those days are in the past. Lugging your helmet around by hand isn’t a great option, either. Instead, most bikers like to carry a motorcycle backpack with a helmet holder. 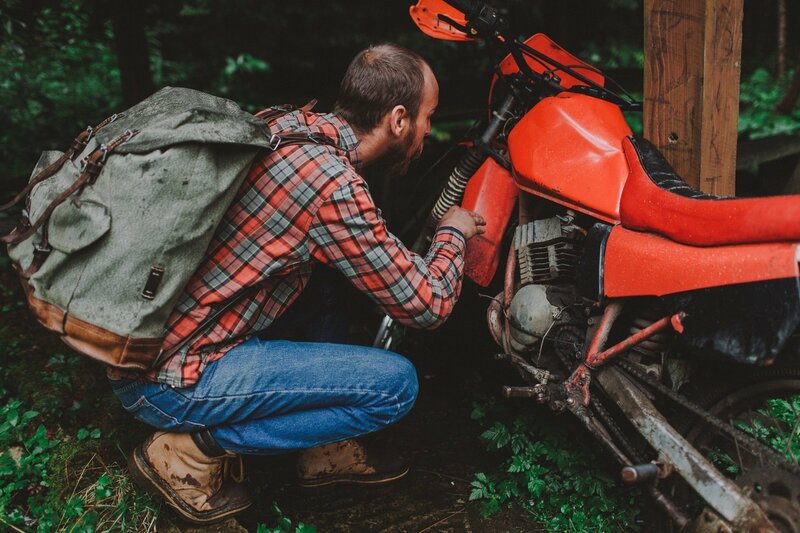 A good motorcycle backpack comes in handy for securely transporting your helmet when you’re off the bike, and they make it easy to transport cargo when you’re riding (a laptop, a basketball, your riding jacket, groceries, etc.). MOLLE system – backpacks with a MOLLE harness/support system offer more than just traditional shoulder straps. 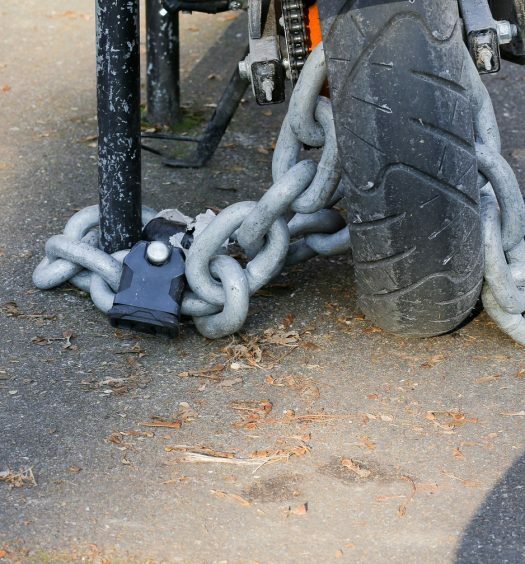 They’re actually designed for the military, so they do a great job of carrying and securing larger, heavier loads. If you’re looking for a large backpack that can hold extra cargo, I’d recommend getting a pack with MOLLE straps. Waterproof – having a waterproof backpack is pretty much non-negotiable if you carry anything valuable in your bag. Your helmet may be able to take a little moisture (though it certainly won’t be comfortable), but your laptop, cell phone, and other valuables won’t. Size – bigger isn’t always better. If you want to carry more than your helmet, then it’s worth investing in a larger bag. 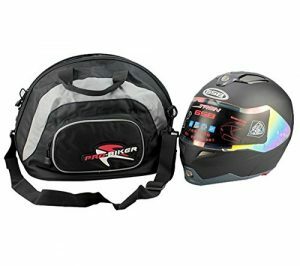 If you just need something to carry your helmet when you’re off the bike, it may be better to get a small, compact bag that you can store under the seat and unfold when you need it. If you’re looking for a large motorcycle backpack with plenty of storage space, take a look at this backpack by Seibertron. It has three primary compartments—a massive main compartment with an interior meshed enclosure, a large expandable middle compartment with interior small-gear pouches, and a small compartment for accessories. On the outside, you’ll get heavy-duty side- and top-cinched straps with MOLLE loops to securely store your full-face helmet. 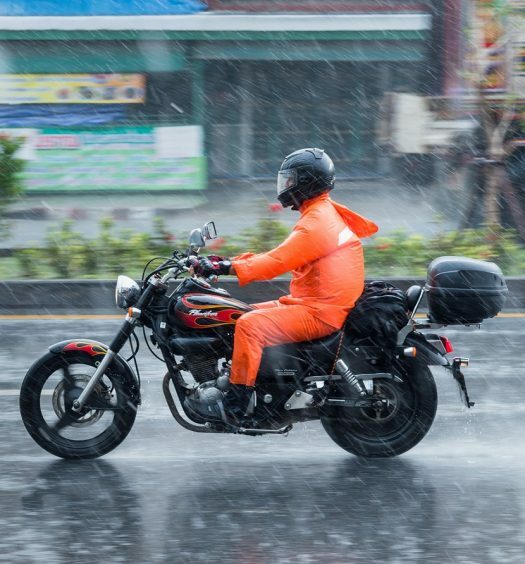 You won’t have to worry about riding in the rain thanks to the 900D waterproof fabric, and the high-strength alloy zipper is built to last even longer than the heavy-duty backpack. If you’re not packing too much gear, this pack also doubles as a hydration bladder backpack, so it’s a great choice for long rides. The Badass Motogear Motorcycle Travel Backpack is a fantastic choice if you’re looking for a heavy-duty yet lightweight backpack. This jet-black bag offers fully adjustable shoulder straps for a contoured and aerodynamic fit. There’s plenty of room for storage and accessories with dual storage compartments, each with secure zipper closures and easy-access organizer pockets. The main compartment is large enough to fit a laptop, boots, motorcycle jacket, or pants, and is easy to access from the top of the bag for quick loading and unloading. It also comes with heavy duty MOLLE style loops that are perfect for attaching light gear to the bag with carabiners or rope, deep mesh pockets with side zipper storage slots, elastic mesh side pockets, and a durable webbed holder that can secure a full-size, full-face helmet. When you’re not using this pack on the road, it doubles as a great daypack for hiking, camping, and outdoor activities. The SEDICI Sicilia Backpack is another great lightweight option. It’s comfortable and secure on your back whether your riding or walking, and offers a rubber carry handle for alternative transport. The exterior is ultra-durable with 1680-denier HYPER CORE PLUS material, and the interior is large enough to fit most 15” laptops. It’s padded and air-flow lined, with a chest securing strap and shoulder straps with a multi-point adjustment system. The pack is a great choice for night riding, as it has reflecting piping and reflecta-lite material with subtle reflective detail for improved visibility. When you’re off the bike, the elasticized helmet carrier is large enough to fit a full-size helmet, and it has quick-release clips for easy locking and unloading. If you’re looking for a quality backpack at a great price, I’d recommend checking out this Ultra Compact Folding Backpack by Badass Motogear. The sleek black bag is compact enough to not get in your way when you don’t need it, and it unfolds to offer plenty of cargo space when you need it. There’s a single compartment that’s more than large enough to store a full-face helmet, or it can be used to carry groceries, clothes, or hiking gear. The backpack is made with a lightweight yet durable material, and it comes with wide, adjustable shoulder straps for a comfortable fit (much better than those cheap drawstring bags that dig into your shoulders). When you’re not using the pack, it folds up into its own storage pouch for easy portability, and is small enough to tuck away in a saddlebag, tank bag, or trunk. For those of you who prefer a shoulder strap over a traditional backpack, the HITSAN Motorcycle Helmet Bag is a solid pick. The main compartment is spacious enough to fit a full-size helmet, and the bag offers two side-pouches to carry smaller items. 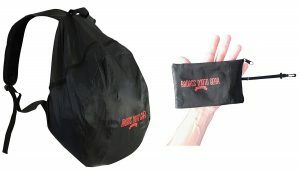 It’s also waterproof, so you don’t have to worry about the contents in your bag if you get caught in the rain. 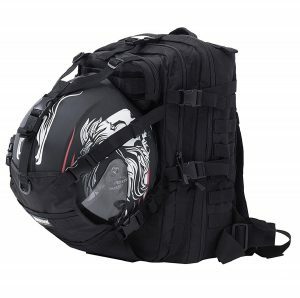 If you’re looking for a large motorcycle backpack, the Seibertron Waterproof Backpack is definitely the best choice. If you’d prefer a lightweight option that can still pack more than just your helmet, I’m definitely a fan of the Badass Motogear Travel Backpack and the SEDICI Sicilia Backpack. 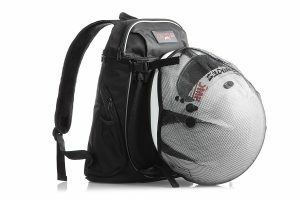 Outside of those, the Badass Motogear Ultra Compact Folding Backpack is the best pick if you want something that you can fold up and stow in your bike, and the HITSAN helmet is a nice alternative if you prefer a shoulder bag with a little extra style.